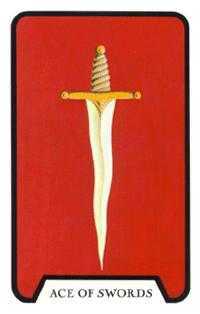 You are clear about the principal objective you need to accomplish. 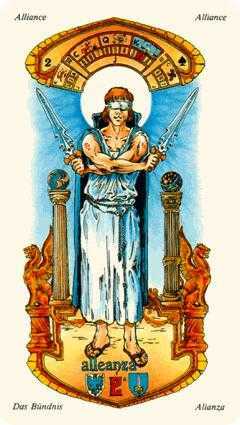 This suit represents the rational mind and its ability to discriminate. 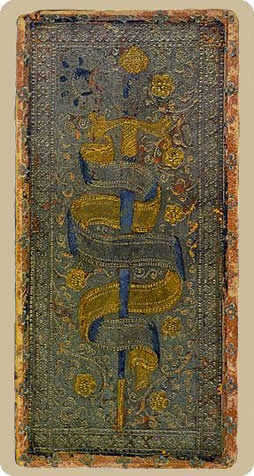 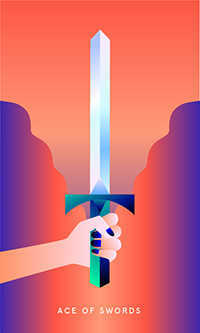 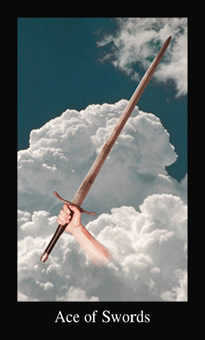 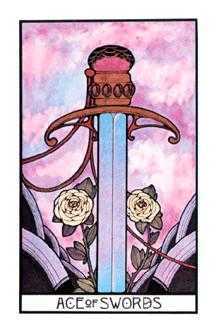 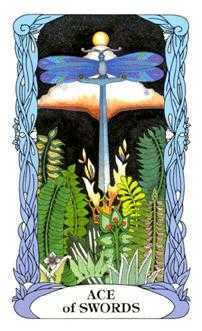 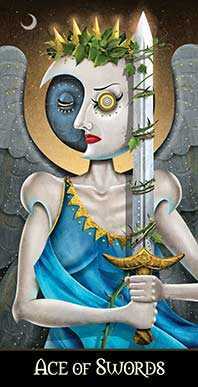 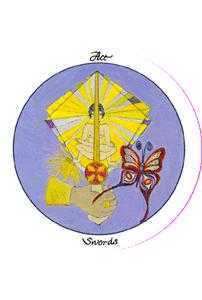 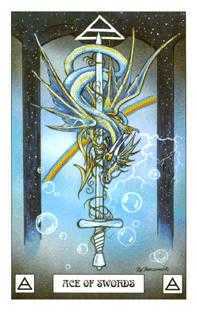 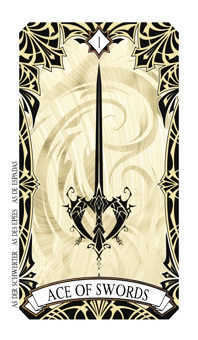 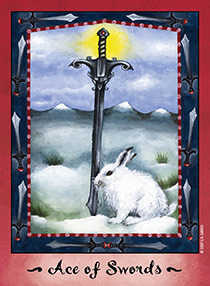 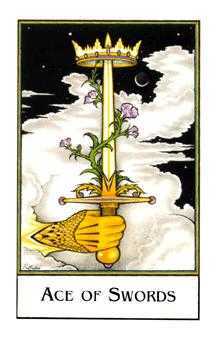 Swords cut through things in order to pierce illusion, to differentiate between fantasy and reality. 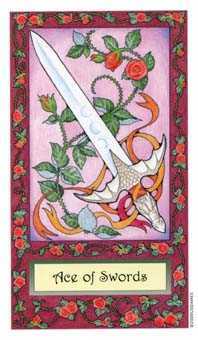 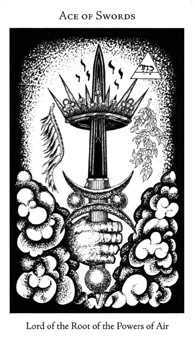 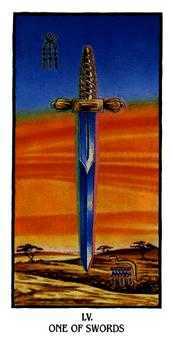 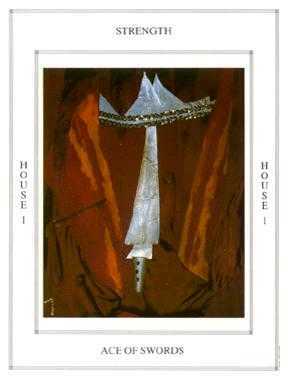 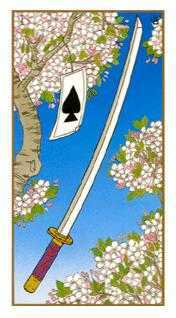 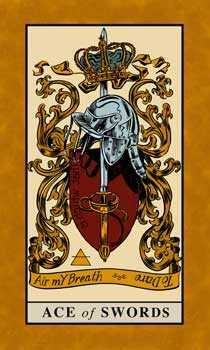 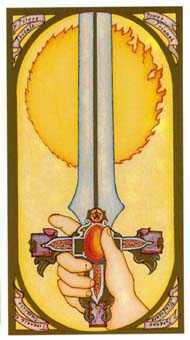 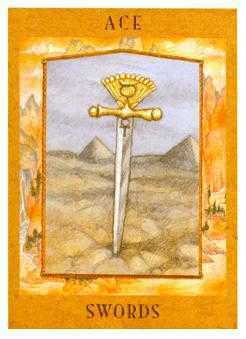 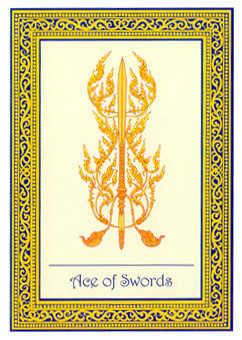 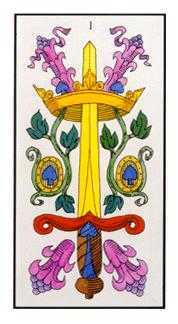 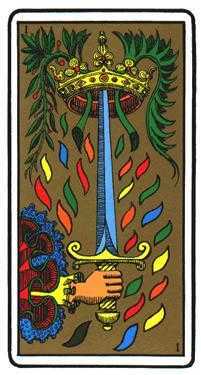 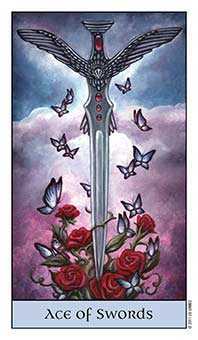 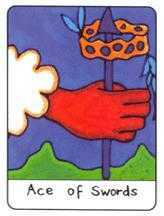 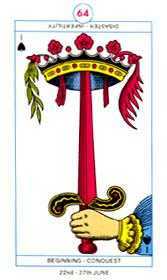 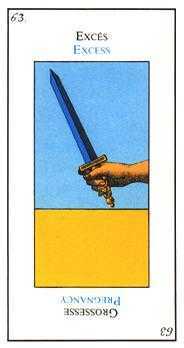 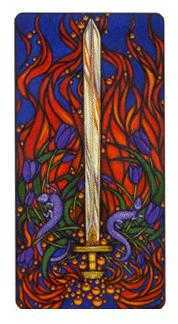 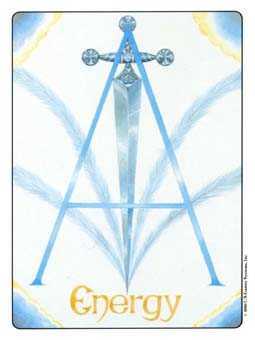 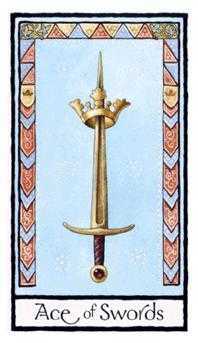 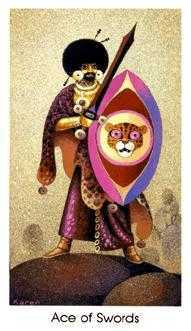 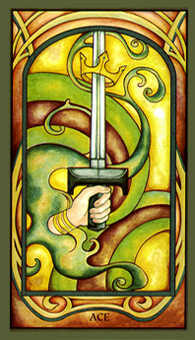 In the image of this Ace, a single upraised sword represents your prime motive or guiding ideal -- the vision that guides you through life's changing fortunes with single-minded clarity. 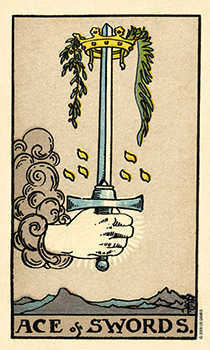 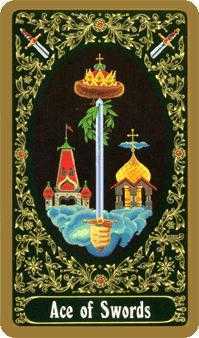 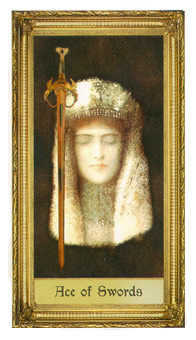 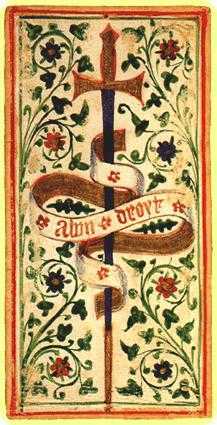 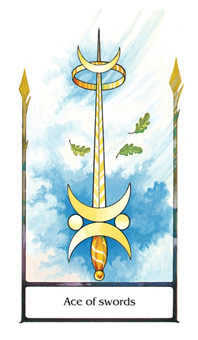 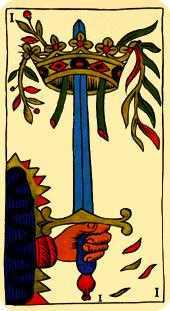 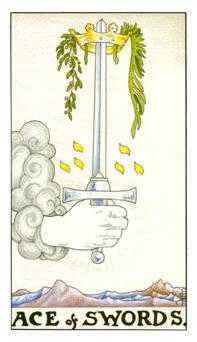 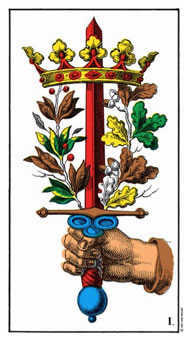 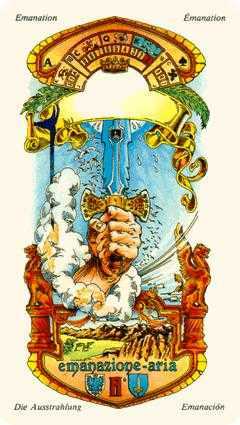 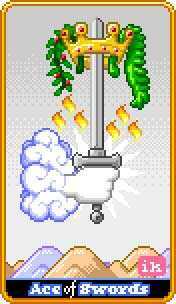 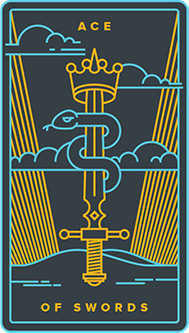 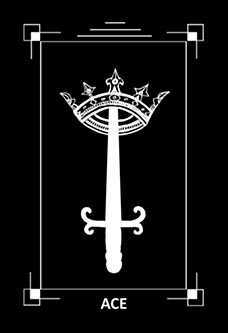 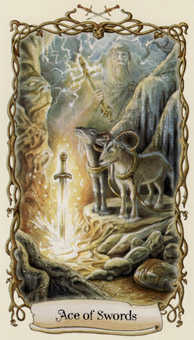 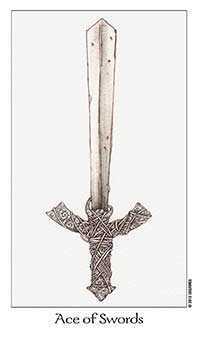 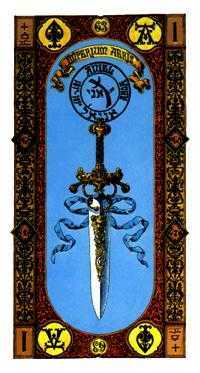 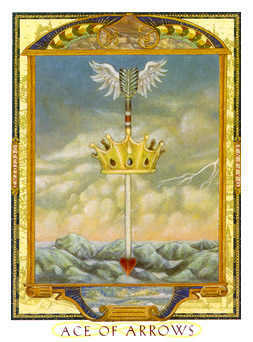 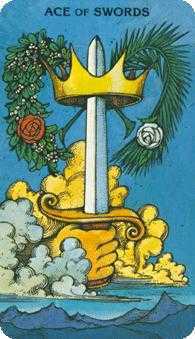 The sword is sometimes shown piercing a silver and/or laurel crown, a symbol of optimism implying evolution, progress, a sense of hope and victory. 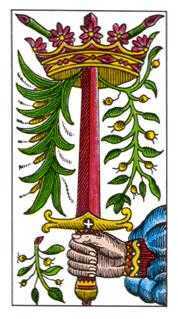 It is occasionally shown pointed downwards -- a darker message, which refers to sacrifice, challenges and a critical environment. 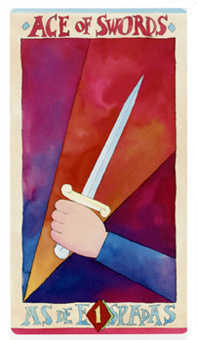 Stay focused and resolute, for you are about to reach your objective. 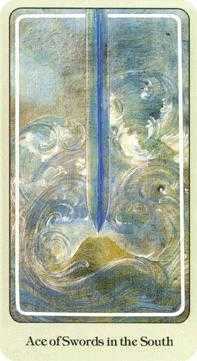 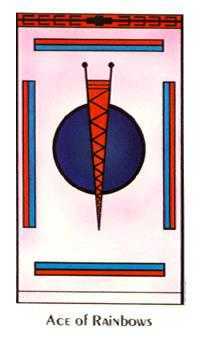 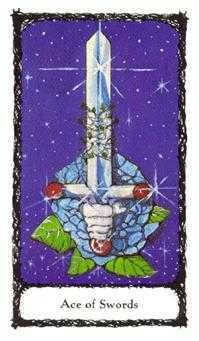 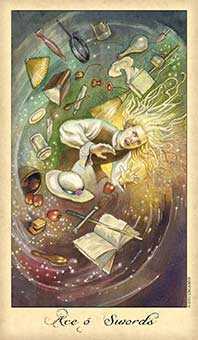 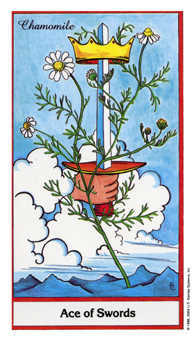 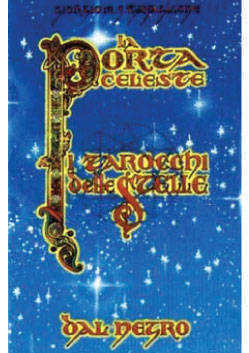 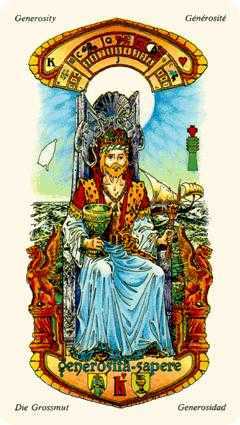 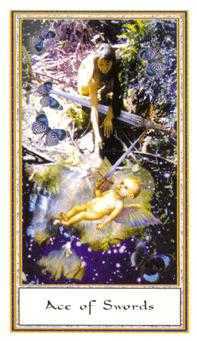 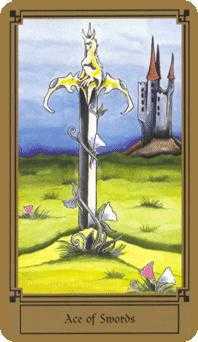 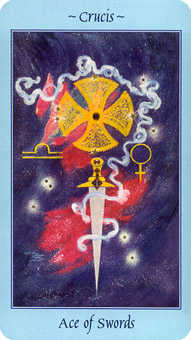 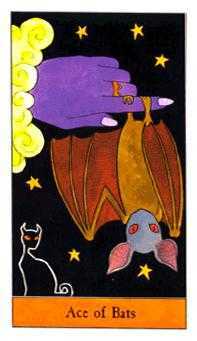 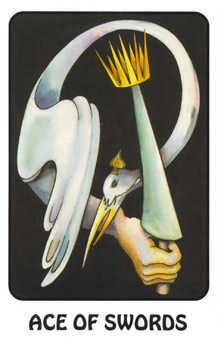 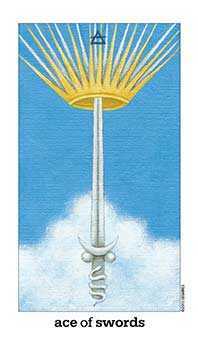 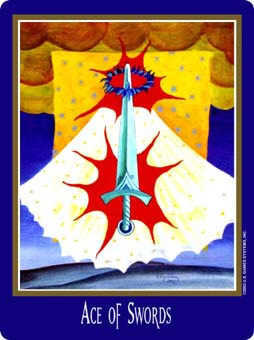 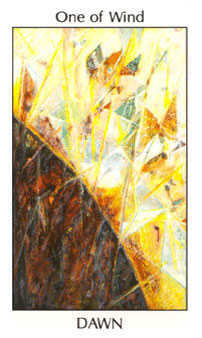 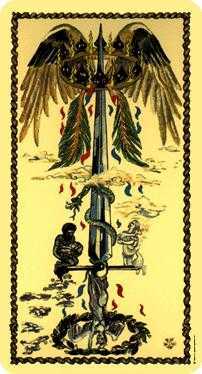 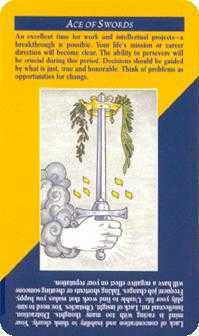 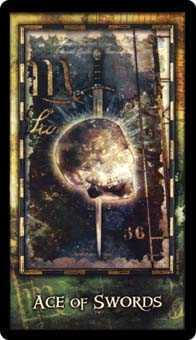 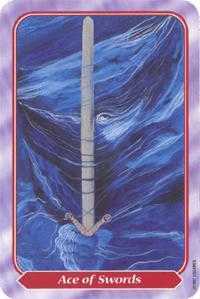 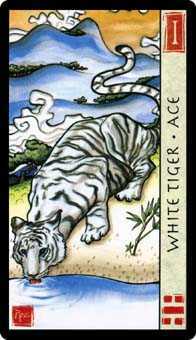 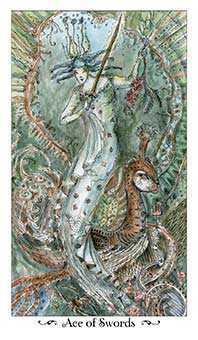 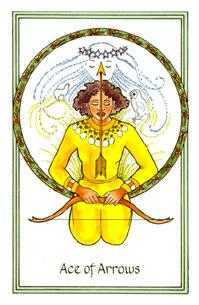 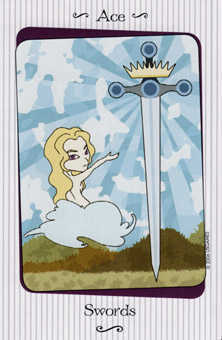 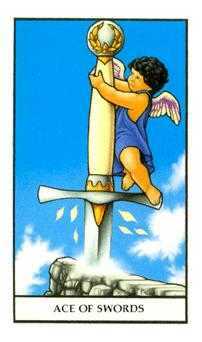 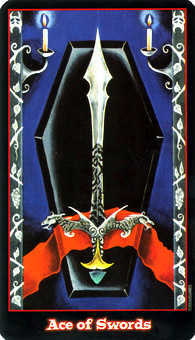 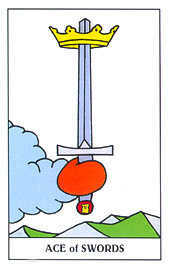 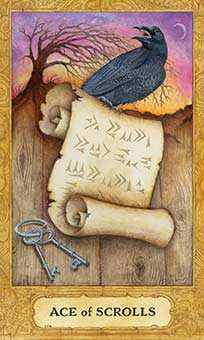 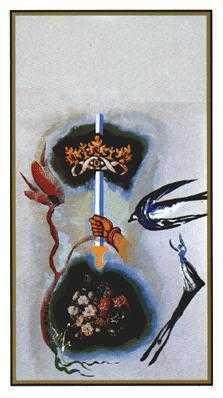 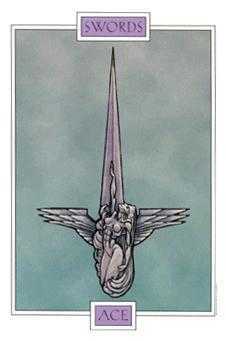 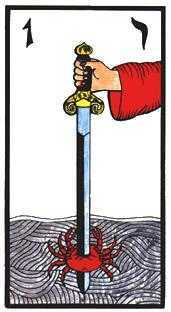 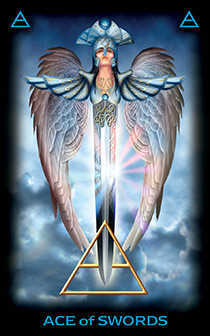 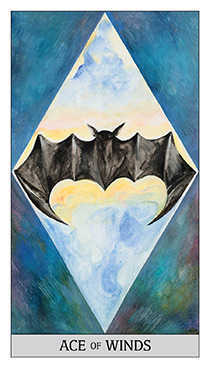 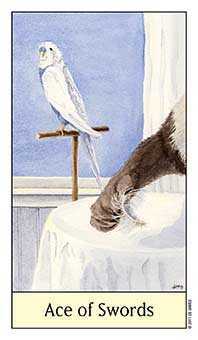 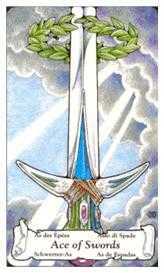 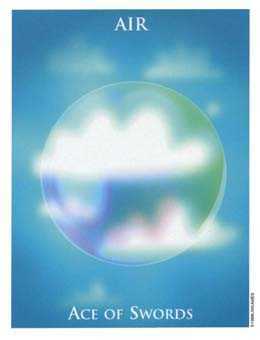 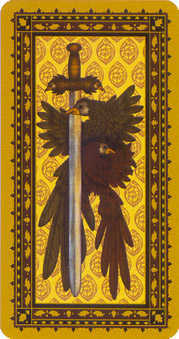 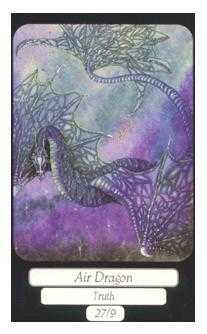 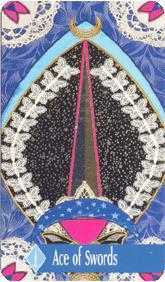 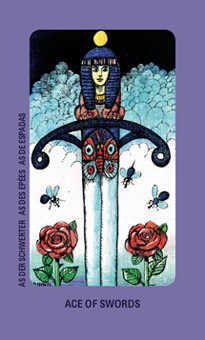 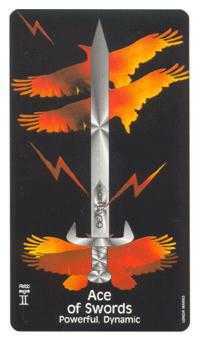 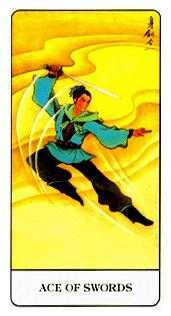 The Ace of Swords in this position advises you to be steady--you are about to reach your objective. 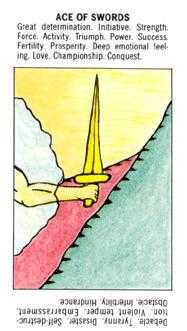 There may be no need to hesitate. 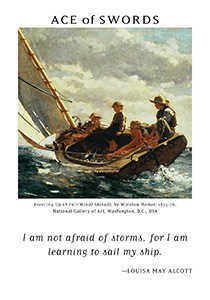 Just concentrate on making your impact. 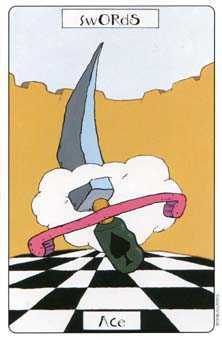 This could be your moment. 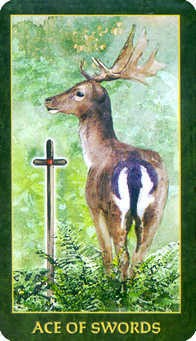 The arrow is pointed straight at the target. 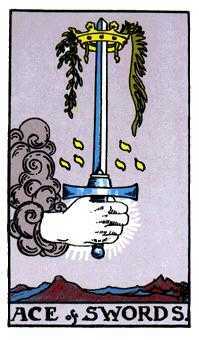 Your eye is keen, your grip is firm. 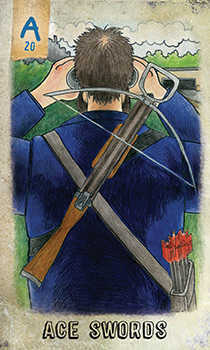 Let that arrow fly! 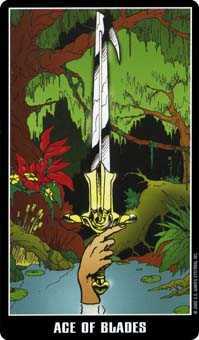 If you set aside distractions and hit your mark, you will be rewarded with insight and clarity. 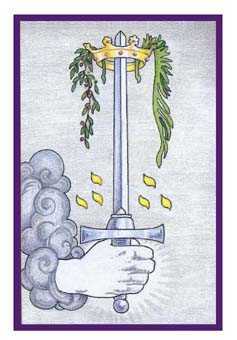 Remember that this is not the time to hold back, worrying about the consequences. 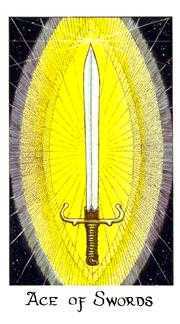 When you access this level of truth, you are very likely to cut through all illusion and nonsense.